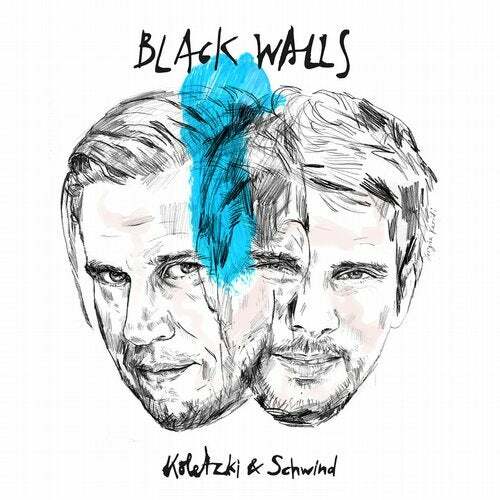 Oliver Koletzki & Niko Schwind team up for a trip down the rabbit hole with Black Walls. The title track fires off with a round of arpeggiated synths, a recurring pattern and focal point of the entire arrangement. Decked with sharp percussion and eerie synths, Black Walls unfolds like a downward spiral, in a mesmerizing and grave rhythm. Reinier Zonneveld amplifies the depth of the track, by adding trance inducing layers. With the initial arpeggiated sequence at its core, Zonneveld infuses his own style of compact techno, reworking Black Walls into an entirely different rendition. The closing track, although situated in the same deep and obscure registry, complements the raw power of the first two with the help of its smooth vocals. Paired with darker vocal pads and packing the same hypnotic rhythm, My Vision comes off as an imaginative melodic tech exploration.